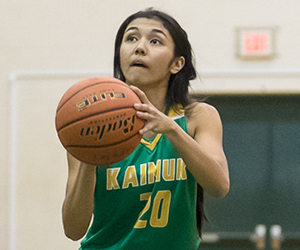 Player of the Year: Kalina Obrey, Kamehameha, F/C, Sr.
Kalina Obrey was essentially unguardable this season. 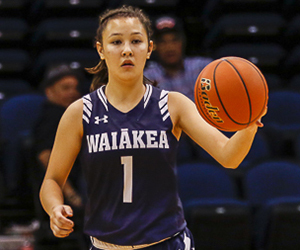 With a dominant post game and an improving outside shot, the Kamehameha senior averaged 20.2 points per game to lead the Warriors to the state championship game. 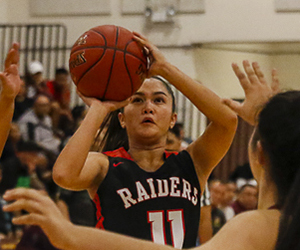 For her efforts, Obrey is this year's ScoringLive All-Hawaii Division I Girls Basketball Player of the Year. 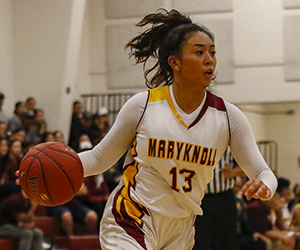 "I think she's very deserving," said Maryknoll coach Chico Furtado. "I think she kind of put that team on her back all year. They lost two starters, (all-league) starters that left last year. Even though they had some talent around her, they were young and unproven, and she carried them until some of those youngsters got better." 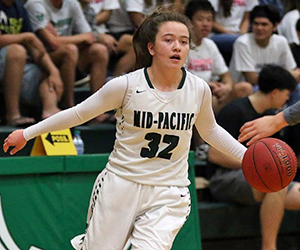 Obrey, a 5-foot-10 senior that is also a middle blocker on the girls volleyball team, scored in double figures in all 13 ILH Division I contests this season. 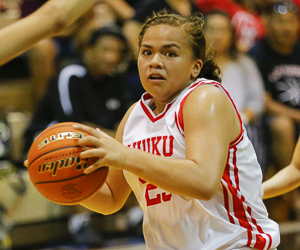 She was also an outstanding free throw shooter, hitting 79.2 percent of her foul shots. The numbers speak for themselves, but it's worth noting that Obrey just had a drive to win. 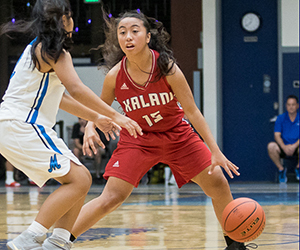 That was on display in the state semifinals against Kalani when she poured in a state record 38 points with 17 rebounds in a 62-49 win, which broke the previous-high held by Punahou's Shawna-Lei Kuehu in the 2006 championship game. 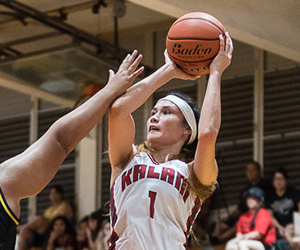 Obrey followed that performance up one night later with a 24 point, 10 rebound outing against Iolani in a 52-49 thriller. 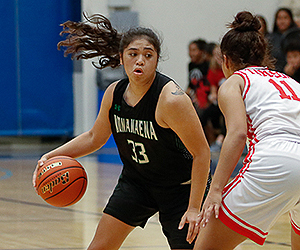 The Kamehameha senior played till the final buzzer — literally — with a potential game-tying 3-pointer getting waved off after a video review, a luxury that is typically not used at most high school events. 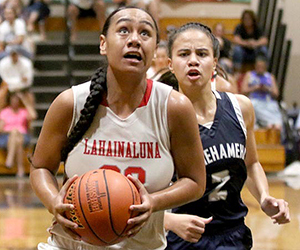 "She's a fierce competitor," said Iolani coach Dean Young. 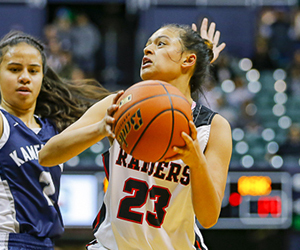 "She probably improved her game the most, between last year and this year. I've never seen a girl develop her outside game so quickly. She was the clear leader on that team, everything ran through her. 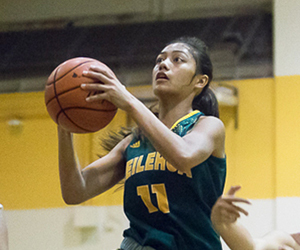 She's probably one of the hardest girls to guard." 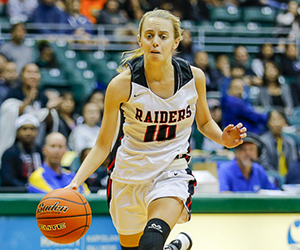 Obrey, who was also named the league's most valuable player, will continue her career at San Jose State University. 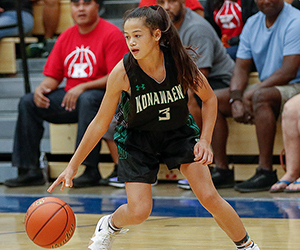 Pua Straight is the Division I Coach of the Year after helping the Warriors reach the state title game in her first year leading the program. 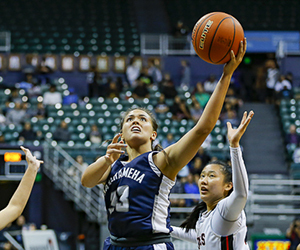 Kamehameha also was the only team in the state that managed to get a win over state champion Iolani this season.